Good lord. 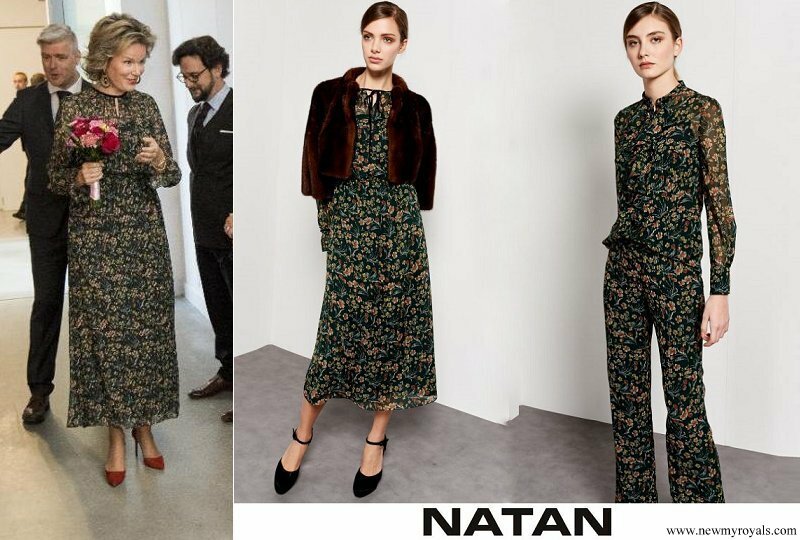 I didn't think she could find anything more unflattering than that horrible Natan garbage she likes to wear. I was very, very wrong. At least she can recycle it into coverings for an outdoor chair! 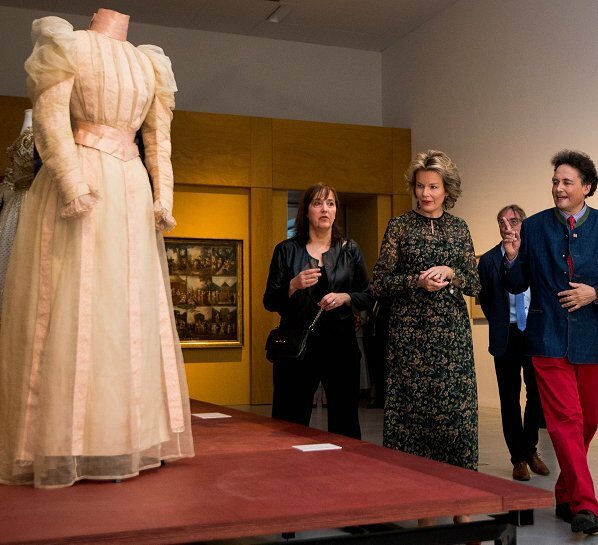 November 8, 2018, Queen Mathilde of Belgium visited "Power and Beauty The Arenbergs" (Macht en Schoonheid. De Arenbergs) exhibition held as part of the 'Arenberg Festival' at Museum-M in Leuven, Belgium. The exhibition involves family artworks which tell the story of the Arenberg family. 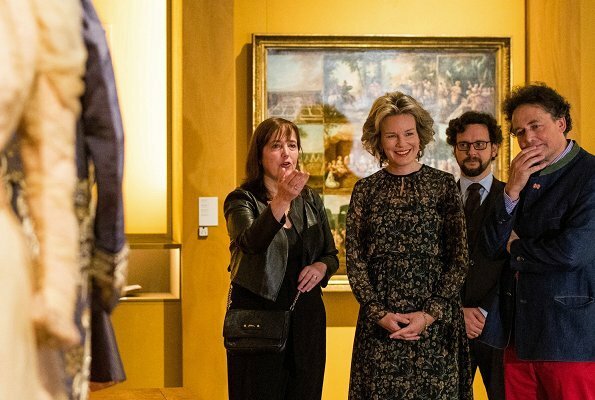 Hand-picked works are back together at M-Museum Leuven for this remarkable exhibition, including masterpieces by Rubens, Veronese, Brueghel, Dürer and many others. For more than five centuries, the Arenbergs played an important role on the political, military, economic and cultural stage in the Leuven region and in Belgium. Sounds like a really neat exhibit. The dress is matronly but it's not all bad and is appropriate for the visit. Wish it were a little shorter and the keyhole necklace doesn't do it for me (Natan in general doesn't do it for me). I’m just relieved that she didn’t select the pantsuit. Filip and Mathilde this morning at the World War I commemoration at the 'Tomb of the Unknown Soldier' . New portrets released today for King Feast (Koningsdag ). I love the color of Mathildes gown! Yes, that is an absolutely gorgeous gown. Cut, color.... Beautiful!